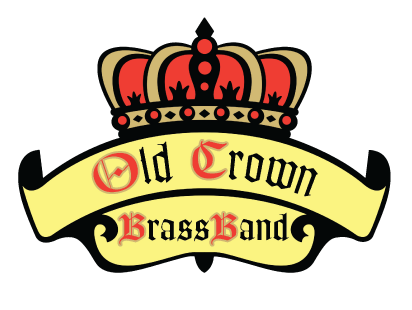 From its founding, the Old Crown Brass Band has established itself as a unique group of serious local musicians who are personally committed to high performance standards. The group itself is based on the traditional British style brass ensemble which has a specific genetic profile in both type and number of instrumentation used. British brass ensembles, such as OCBB, date back to the mid-18th century in Europe and carry on throughout Europe and the US today. Bringing this type of group to Fort Wayne offers a rare opportunity for the public to experience firsthand quality music performances rich in history and tradition and very relatable in repertoire. Our friends at NABBA (North American Brass Band Association) explain, “The brass band dates back to the early nineteenth century and England’s Industrial Revolution. With increasing urbanization, employers began to finance work bands to decrease the political activity with which the working classes seemed preoccupied during their leisure time. Thus, the brass band tradition was founded. Although these bands were not fully comprised of brass instruments until the second half of the nineteenth century, the tradition developed to the present-day instrumentation of cornets, flugelhorn, tenor horns, baritones, trombones, euphoniums, Bb and Eb basses and percussion. All the brass music (with the exception of the bass trombone) is scored in treble clef; a characteristic that, over the years, has allowed for remarkable freedom among certain bands. Being primarily scored in treble clef assists in making the transition from one instrument to another somewhat easier. The number of members is usually limited to between twenty-eight and thirty players, but the repertoire is unusually flexible with concert programs consisting of original compositions, orchestral transcriptions, solo features, novelty tunes, marches and hymn tune arrangements. With the exception of the trombones, all instruments are conical in design, producing a more mellow, richer sound, yet one that has wide dynamic and tonal variety. The term “brass band” is not altogether accurate since brass bands also normally include percussion players who are called upon to play many different instruments depending on the demands of the music. The standard instrumentation for a British Brass Band includes: Eb Soprano Cornet, Bb Cornets, Bb Flugelhorn, Eb Tenor Horns, Bb Baritones, Bb Euphoniums, Bb Tenor Trombones, Bass Trombone, EEb Basses, BBb Basses and Percussion.